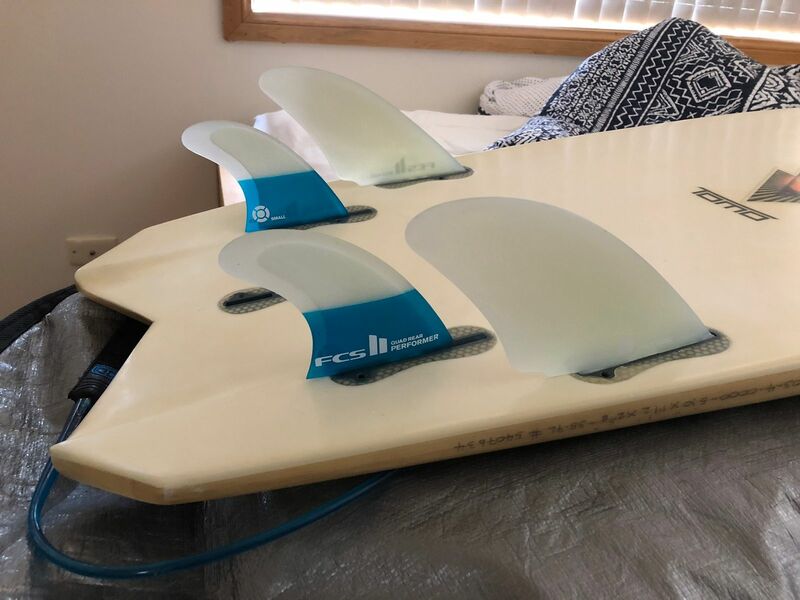 Replacement fins for FCS II PG Split Keel Quad sets. I love this fin set-up for my Bing Puck! So stoked with these fins! I’d recommend using, at least, one screw to hold them in the fun boxes though. The fins provide a lot of drive with tight turning and lots of hold. They are ideal for a twin fin fish or an MPH. I am using mine in my Tomo Vanguard. These are equivalent to the DVS quad keels but in FCSII.